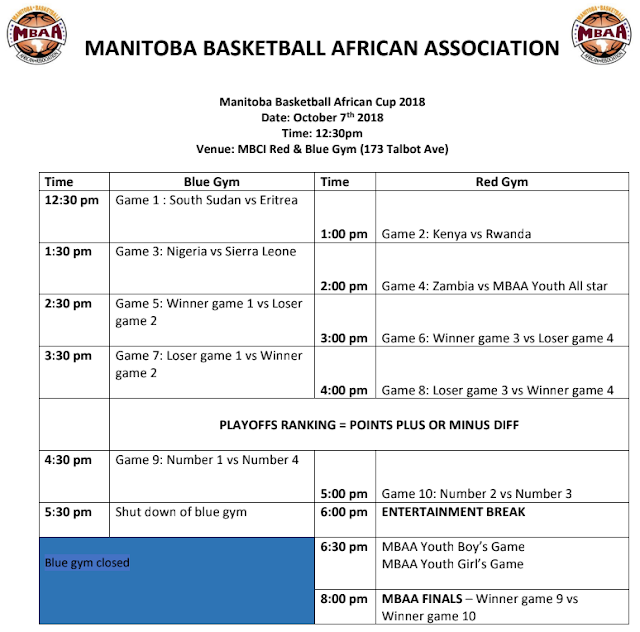 SCHEDULE RELEASED: The Manitoba Basketball African Association has announced the will be hosting their first ever Manitoba Basketball African Cup on Sunday, October 7, 2018, at Mennonite Brethren Collegiate at 173 Talbot Ave in Winnipeg. The event will run from 12:30 - 8:00 pm and is open to male teams and players ages 18+ of African descent to compete in a series of basketball games. In addition, there will be one youth game for male high school students to participate in as well as one game for female high school students. This is a special fundraising event to support Tepad Kenya which is a non-profit organization that operates in rural Kenya that delivers services that improve the quality of lives of marginalized communities. 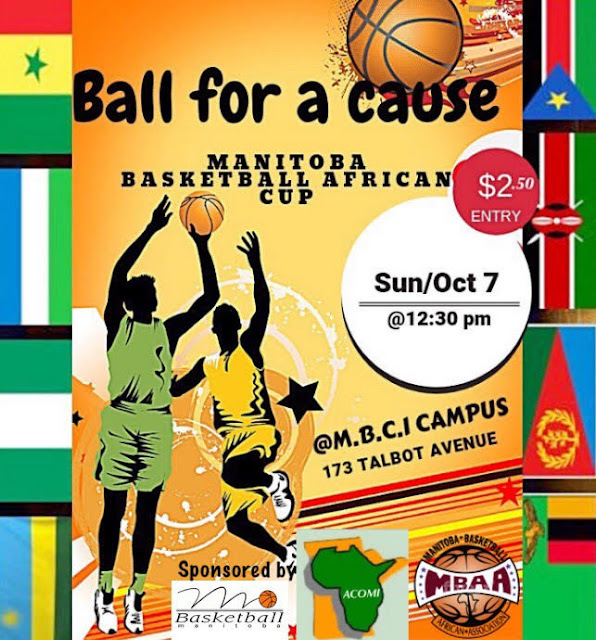 The funds raised will go tot he community to upgrade/renovate an outdoor basketball court that is used by students and members of the community for their sports program.